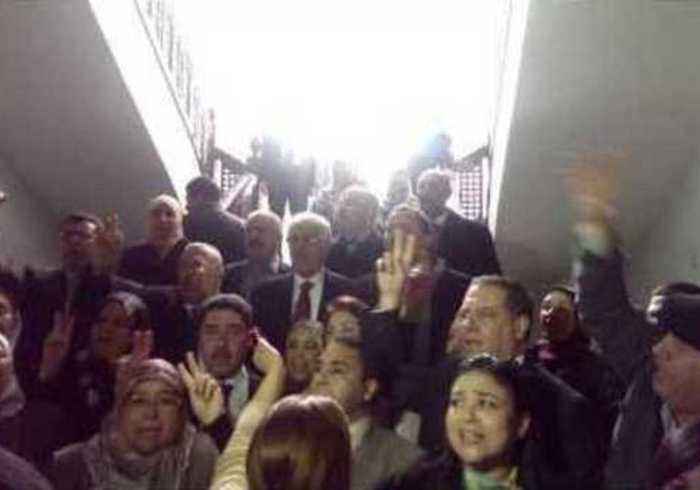 Tunisian politicians defiantly sang the national anthem in Parliament on March 18, while in lockdown during a siege on a Tunis museum. Lawmakers were discussing anti-terrorism legislation when gunmen stormed the adjacent Bardo Museum, taking hostages, including tourists. At least 19 people were killed, including 17 foreign tourists and two Tunisians, Prime Minister Habib Essid said. Two gunmen and one member of the police were also killed in clashes during a rescue operation by Tunisian security forces to free the hostages.